Baltimore Ravens running back Ray Rice has been cut by his football team and indefinitely suspended by the National Football League after a video showed him punching his then-fiancée into unconsciousness. The footage, from February, was released Monday by the tabloid website TMZ. The details of the case have been known for months after a previous video from a different angle showed Rice dragging the unconscious woman out of an elevator and dropping her face-first on the ground. 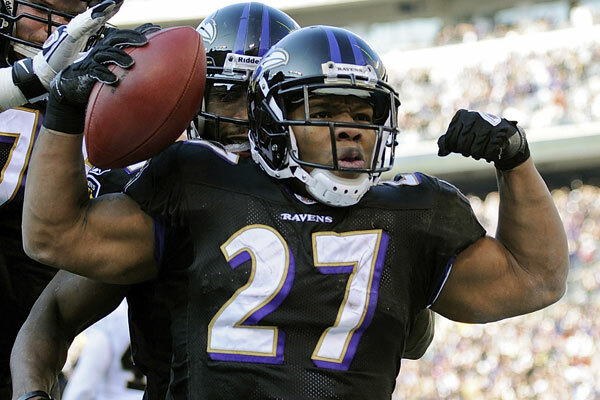 The Baltimore Ravens had defended Rice, while the NFL’s first response in July was to suspend him for just two games. A massive public outcry led NFL Commissioner Roger Goodell to apologize and change the league’s domestic violence policy. Watch the video as Democracy Now critiques the NFL’s history of disregard for violence against women by it’s players.